Making Direct Mail simple and easy for you! Whether you are looking for mailing service, a mailing list or design work, we have over 25 years of experience to assist you with your marketing campaigns. 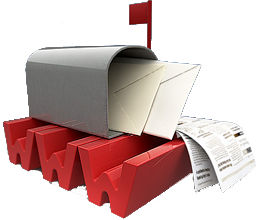 We have collected and captured all of the best information needed to make your next direct mail campaign a success. From the latest postal requirements and postage rates to design notes that will help insure you're getting the lowest possible postage. Call us today at 248-585-2800 or fill out the contact form to get started on your business project.